Fairtrade has been our topic this fortnight. 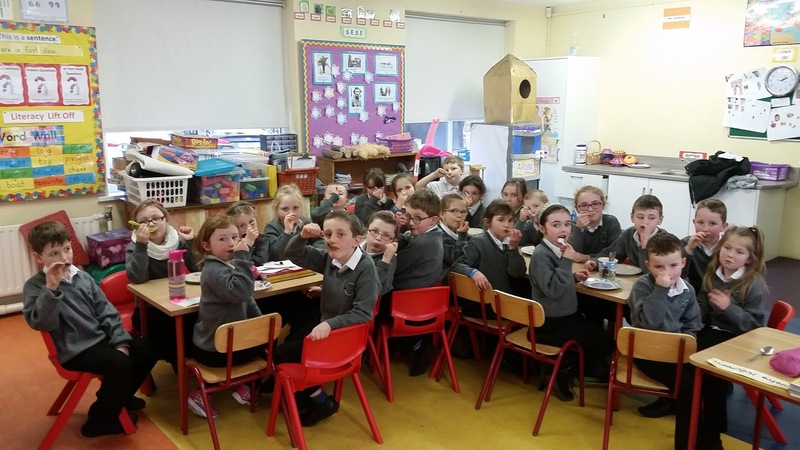 It is linked with our Green Schools theme 'Global Citizenship: Litter and Waste'. Fairtrade is about the farmers in poorer countries getting a fair price for their produce. We are looking at products such as chocolate, cocoa, tea, coffee, honey, bananas, mangoes etc. We are going to keep an eye out for the fairtrade symbol when we visit the supermarket. 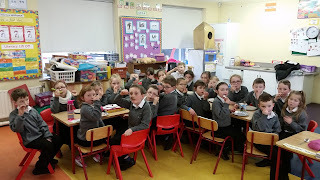 On Friday, we tasted ice-cream with the fairtrade symbol. We know that the farmers who sold the cocoa beans for the chocolate icecream got a fair price for the beans. We are happy about that.